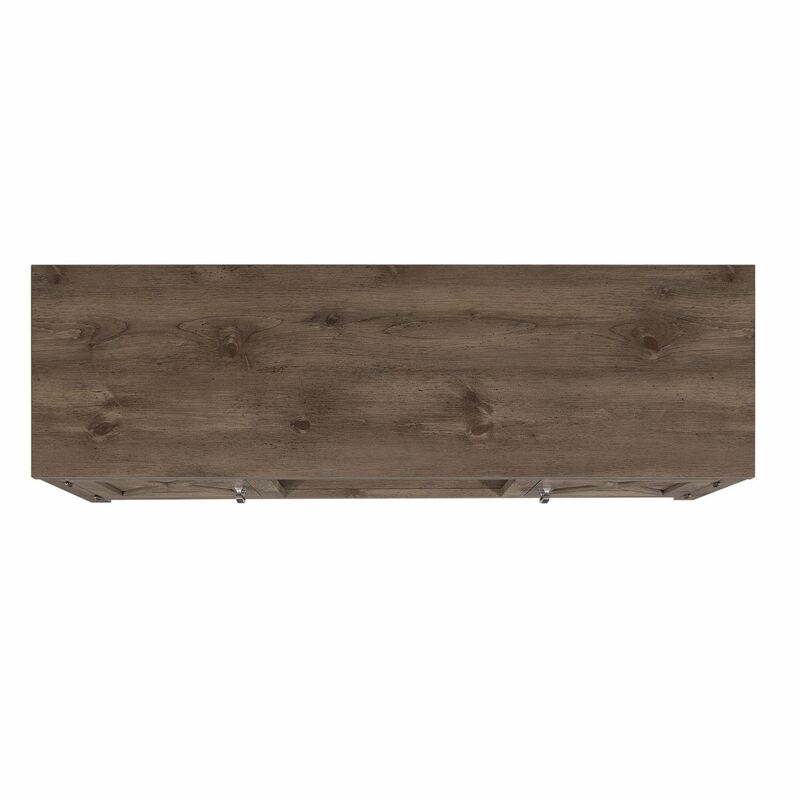 Humboldt TV Stand for TVs up to 55", Spanish Gray by Classic Flame. 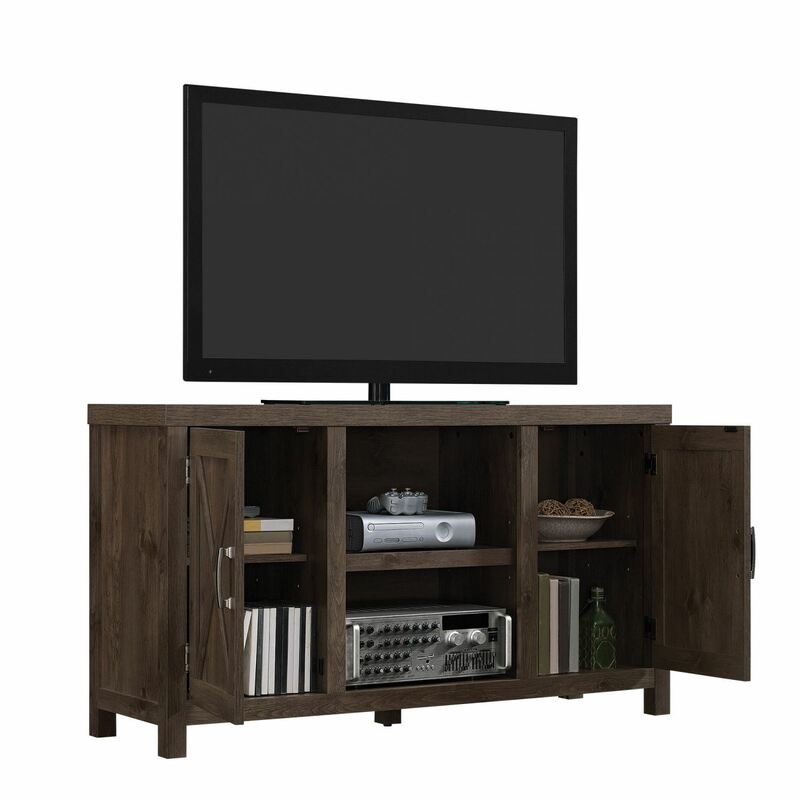 Open center with one adjustable shelf for AV components, books, games or decorative items for display. An integrated CMS Cable Management System to hide and manage unsightly wires and cables. 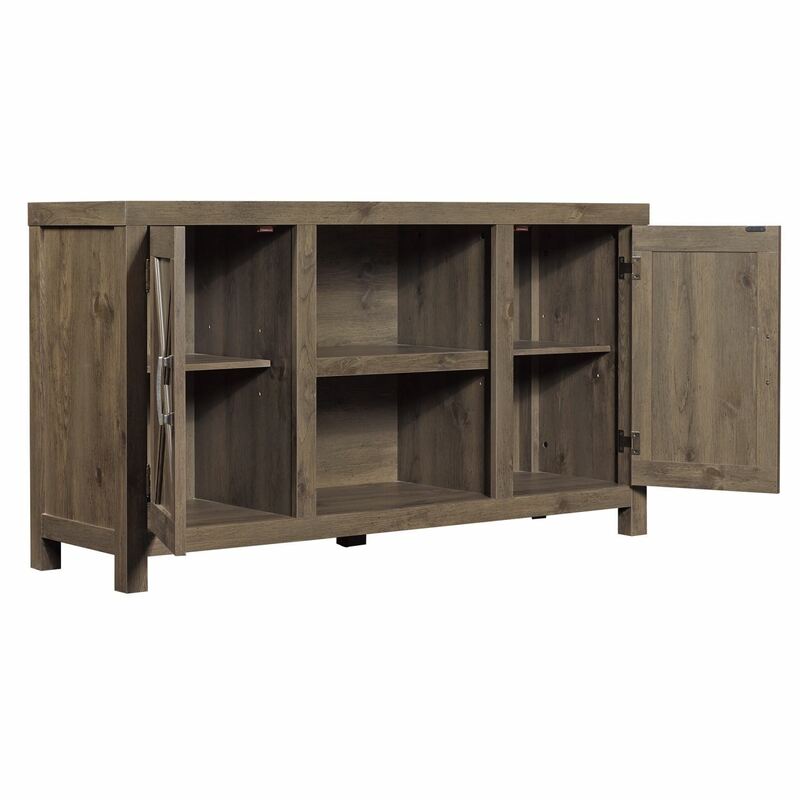 Two concealed side cabinets with X mullion doors and one adjustable shelf each. Easy-to-assemble, includes an owner's manual and easy-to-follow instructions. 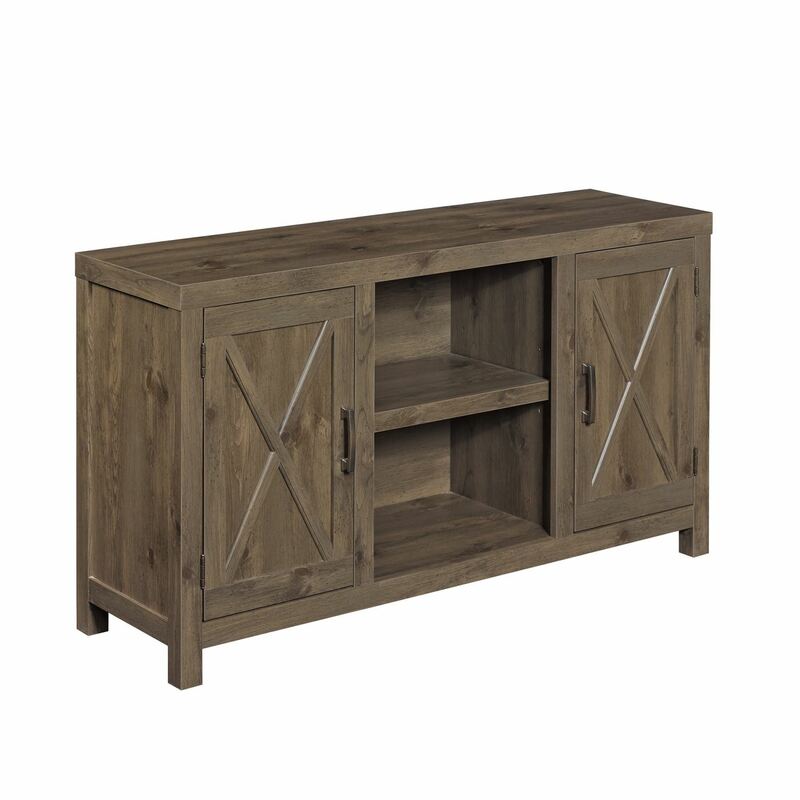 This versatile TV stand can also be used as an attractive hall console or sofa table. 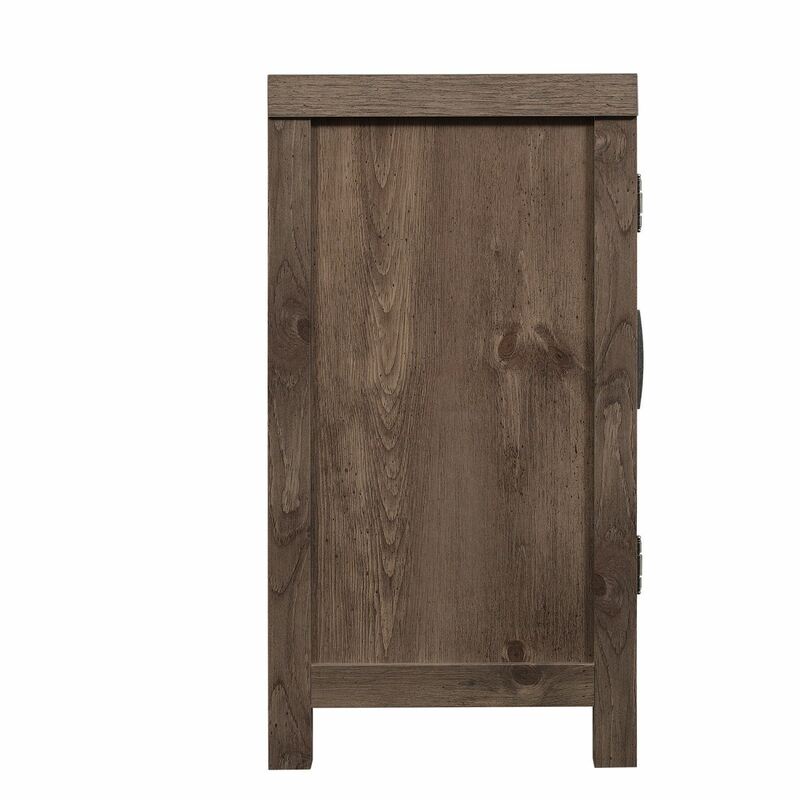 Spanish Gray finish, Antique Nickel hardware and stile feet. 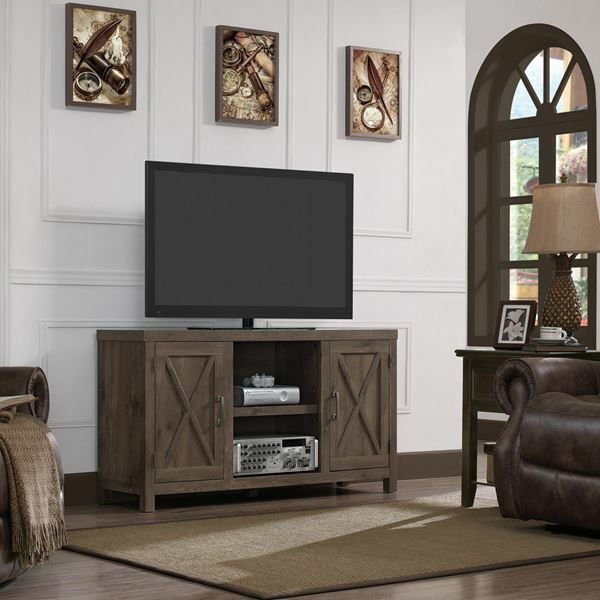 Tip restraint hardware included to help prevent accidents and damage to the TV stand. Touch-up pen included to keep your TV stand looking fresh and new.